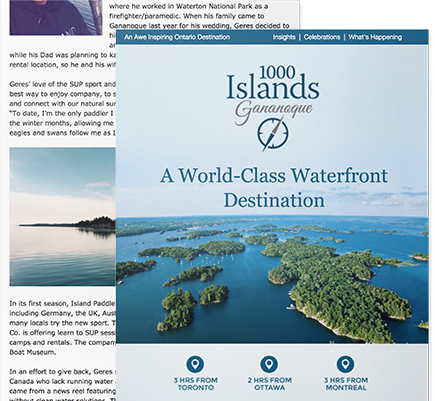 Gananoque is the gateway to the 1000 Islands, located approximately 3 hours from Toronto, 2 hours from Ottawa and 3 hours from Montreal. 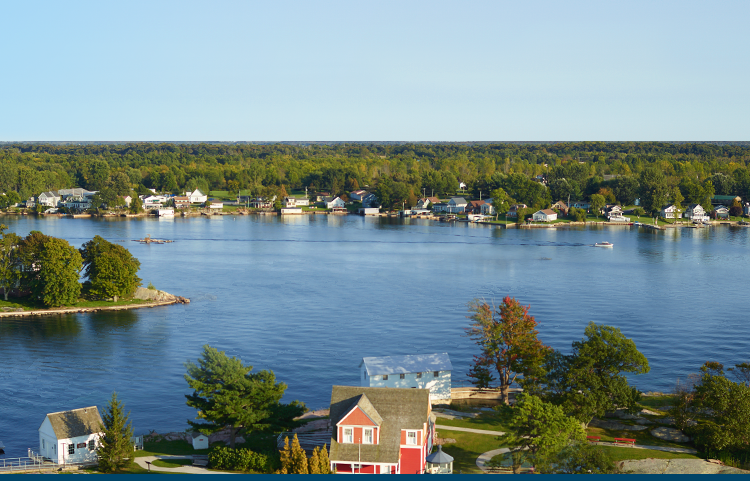 Gananoque is just 15 minutes from the border crossing into Upper New York State via the Ivy Lea Bridge and is only 50 minutes to Watertown. 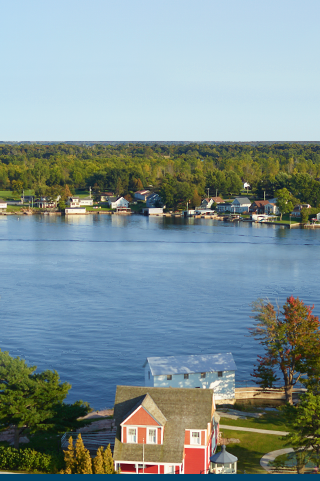 Our picturesque community is conveniently accessible from Highway 401, Highway 2 and the St. Lawrence River. 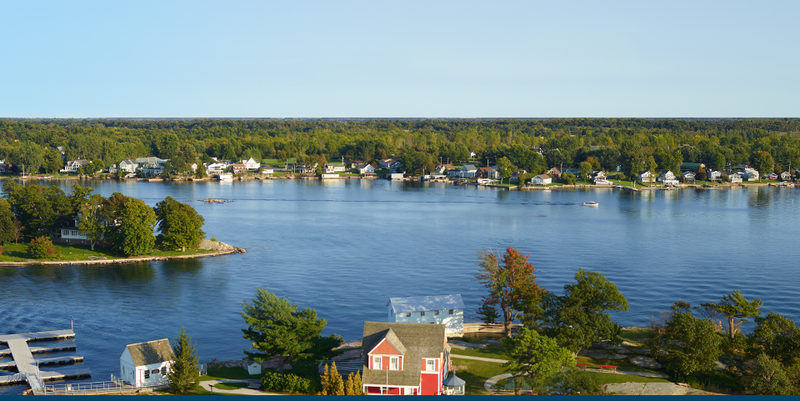 Gananoque is 300km (180 miles) east of Toronto If you are driving from Toronto, take highway 401 east for 350km. From highway 401, take exit 645 south into Gananoque. Ottawa is located 150km north-east of Gananoque. Take highway 416 south for 45km to highway 401. Head west on 401 for 120km. From highway 401, take exit 645 south into Gananoque. Take Interstate 81 north to the 1000 Islands Bridge. This bridge is approximately 25 miles north of Watertown, NY. Once across the bridge take highway 401 west for about 10km (6 miles). From highway 401, take exit 645 south into Gananoque.